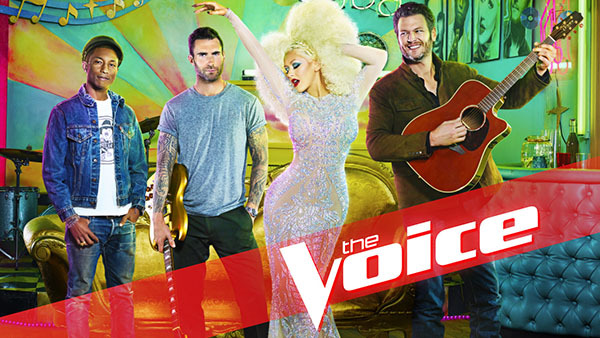 The Voice Season 10 Knockout Rounds continue tonight with Miley Cyrus, Tuesday, March 29, 2016 on NBC 8/7c. More shocking cuts and incredible performances as the knockouts continue tonight. In this round, the artists will be paired against a team mate, but this time they will select their own songs to perform individually, while their direct competitor watches and waits. They are vying for their coach’s confidence and decision to take them to the live shows. Miley Cyrus will serve as key advisor for all teams on The Voice Season 10 Knockout Rounds. Adam Wakefield vs Peyton Parker: The winner of this battle is Adam Wakefield, he is moving to the Live Playoffs. No steal for Peyton Parker. Moushumi vs Nick Hagelin: The winner of this knockout is Moushumi, Nick Hagelin is eliminated from the show. Maya Smith vs Tamar Davis: The winner of this knockout is Tamar Davis, no steal for Maya Smith.